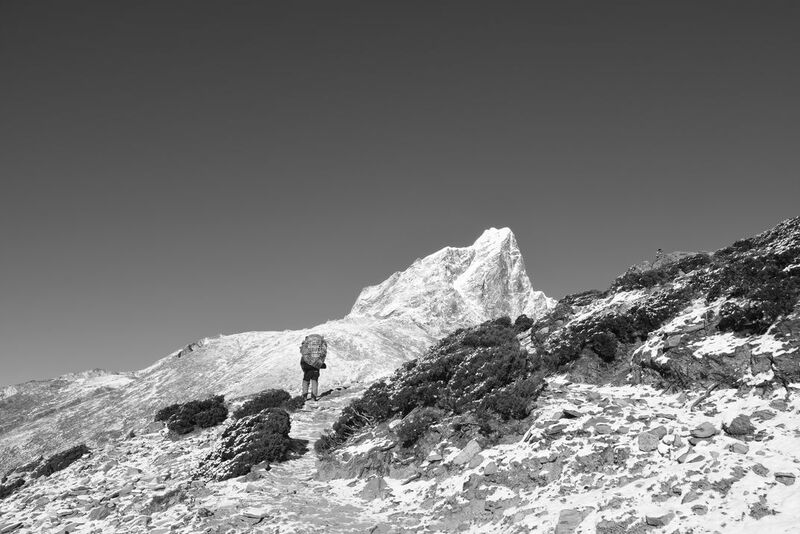 The image shows a walking porter in front of Cholatse Peak in the Solokhumbu District, Nepal. Although they receive little glory, porters (usually from the ethnic group Sherpas) are an essential part of mountaineering and trekking in the world´s highest mountain range, the Himalayas. Porters carry heavy loads over huge distances and across high mountain passes and make expeditions possible in the first place. The image should draw the attention to their work.